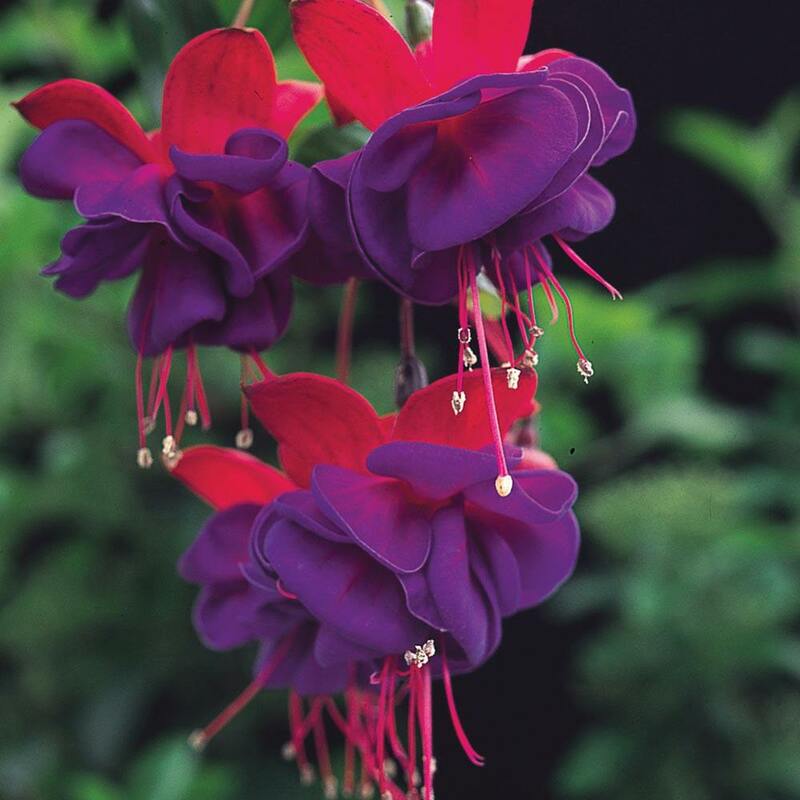 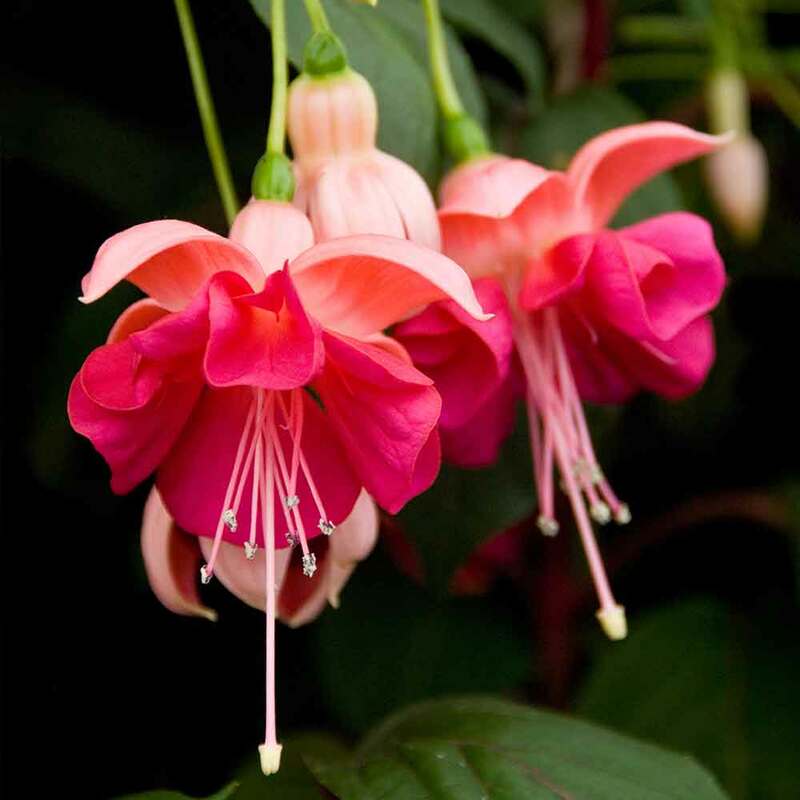 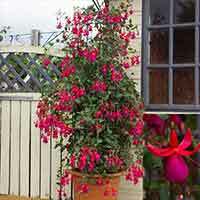 These fantastic award winning Fuchsia's will bring pleasure year after year. 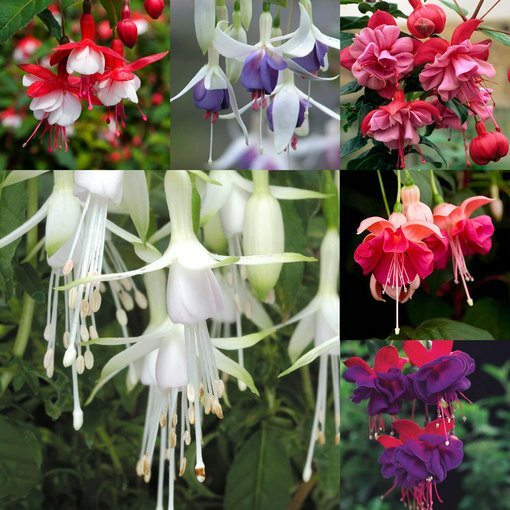 Each variety holds the prestigious Award of Garden Merit from the RHS. 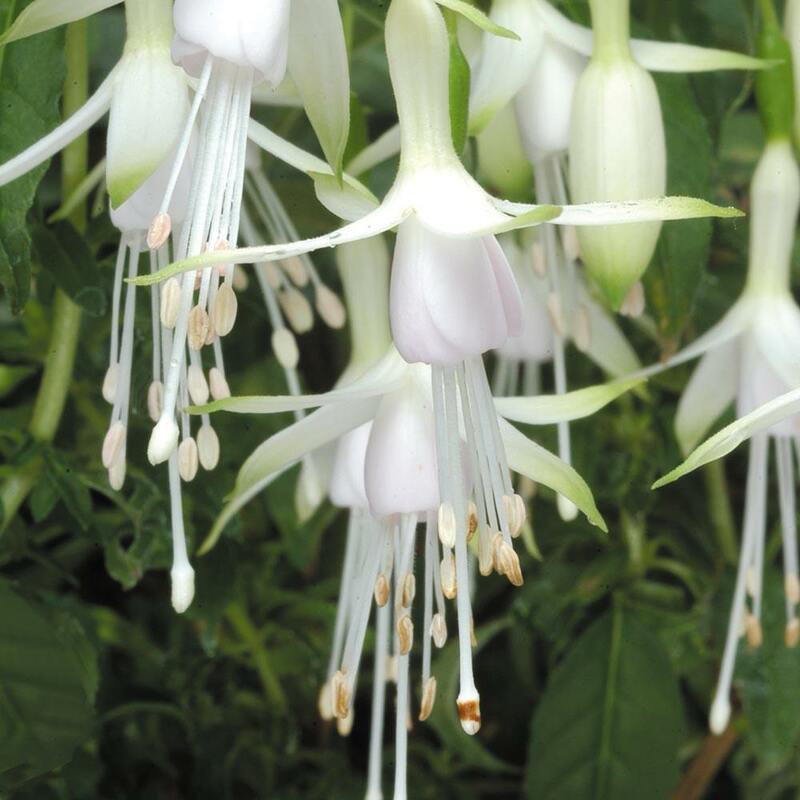 They have a wonderful drooping habit and are excellent in a hanging basket and will produce masses of colour from June to October. 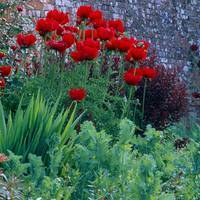 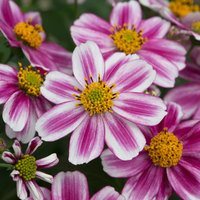 They are easy maintenance and require a little deadheading to encourage plenty more blooms. 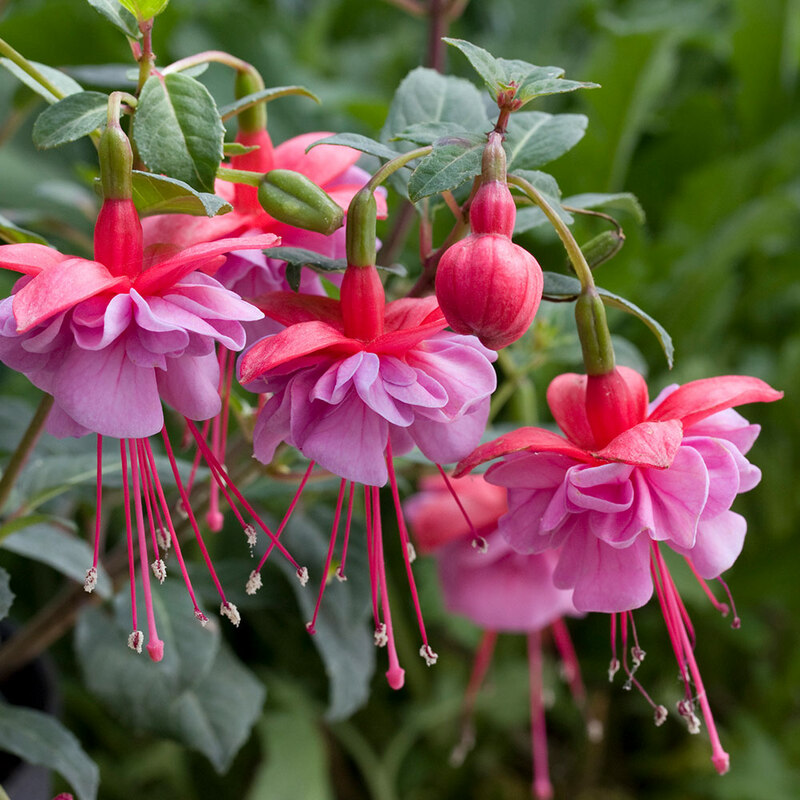 A great value way to fill your baskets with these shop-stoppers, the plants will trail 80-120cm. 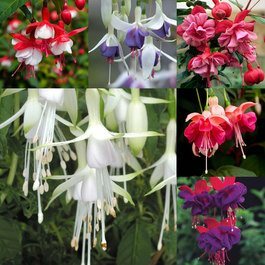 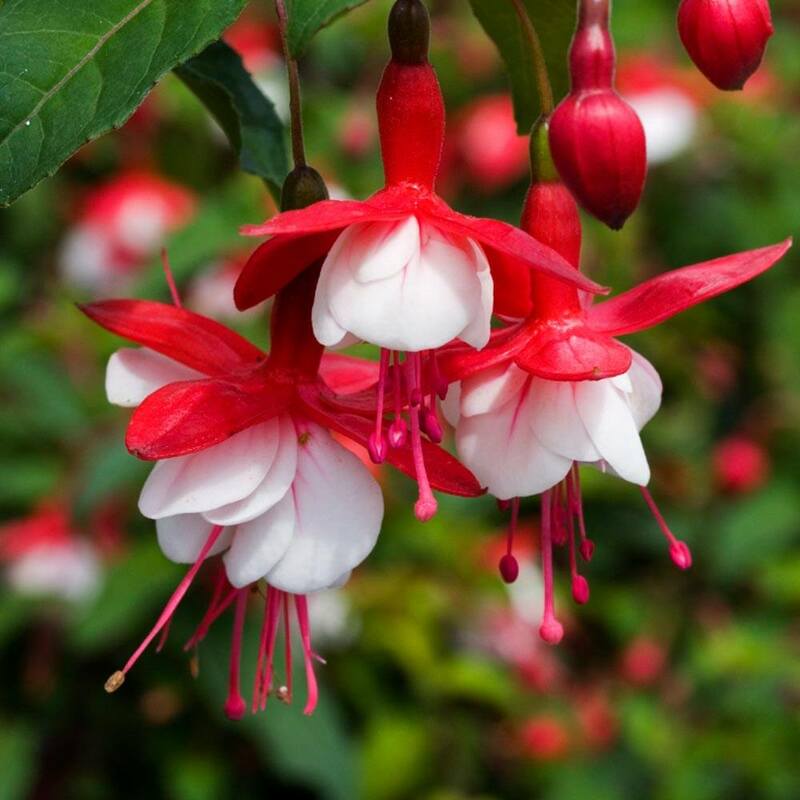 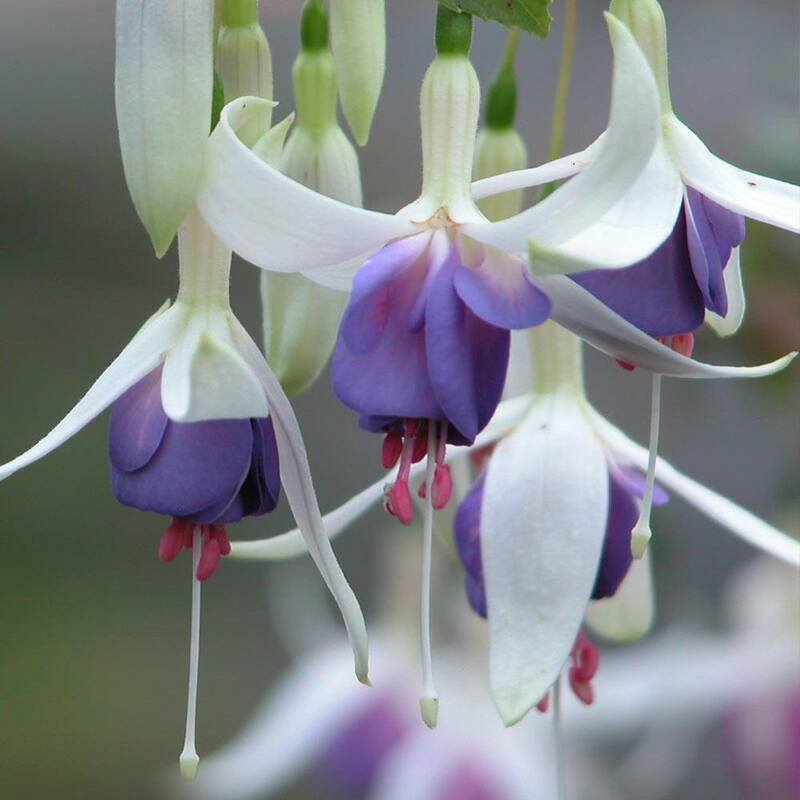 The collection of 18 includes 3 each of Fuchsia Hawkshead (white), Fuchsia Snowcap (red and white), Fuchsia Heidi Anne (pink and lilac), Fuchsia Garden News (pink), Fuchsia Dollar Princess (pink and purple), Fuchsia Delta Sarah (white and purple). 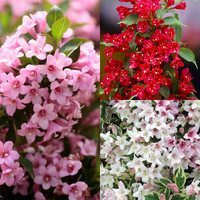 Order a collection of 30 and receive five of each variety. 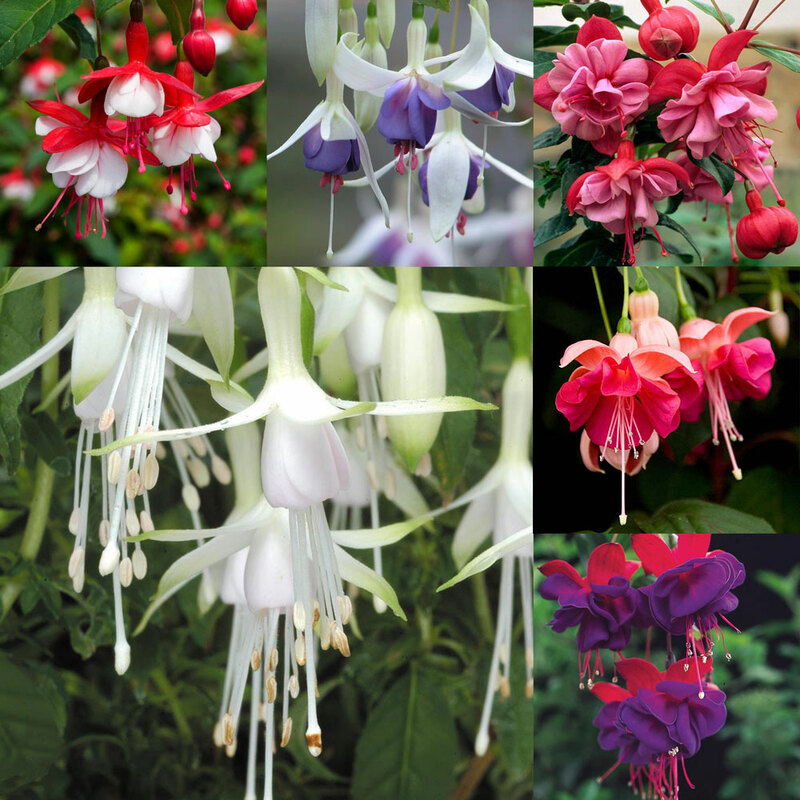 Flowers June to October. 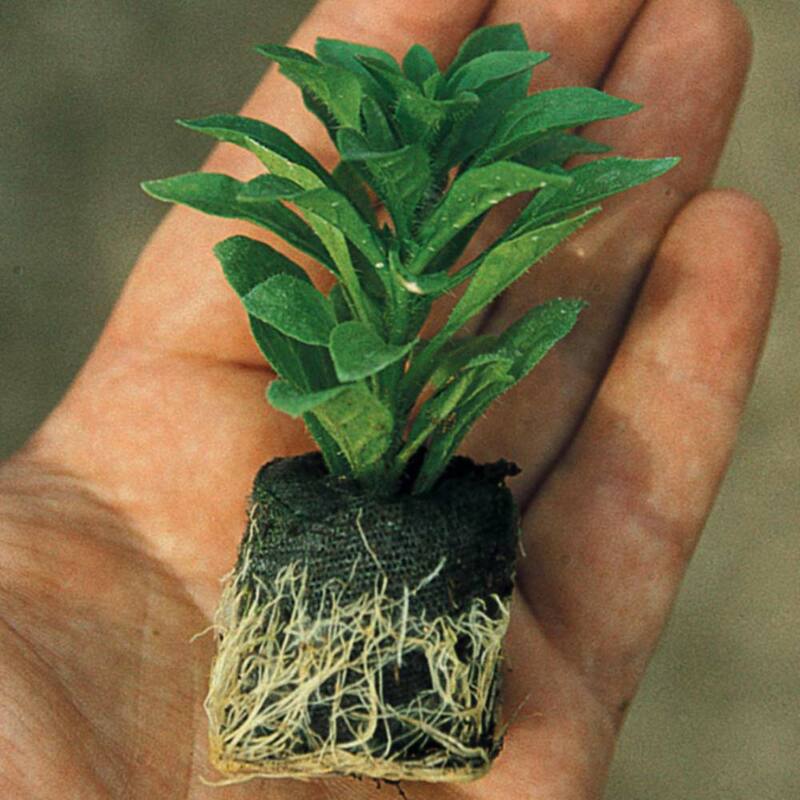 UK grown 3cm diameter jumbo plugs supplied.